5 Steps to becoming a Money Magnet. 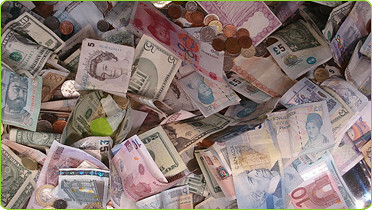 Money – how do you improve your relationship with it and what difference to your life will this make? Most of us have some degree of negative programming around money in our brains that has been deposited there by well-meaning family, friends and colleagues – would you agree? Who has heard that money doesn’t grow on trees, we are not made of money, that money is the root of all evil? Anyone with ears would have heard in the last few years about the law of attraction – and what I am going to share with you today is a 5 step system that is said to attract more money to you, if you use all the steps as they are outlined. People who use this system have found that they attract more opportunities to improve their finances, while those who ignore these principles find it more of a struggle to get ahead but don’t know why. The system itself is goal-agnostic, which means you can take the basic principles and apply them to any or all of your goals, and in this post I have used each of these principles to demonstrate how they apply to attracting money. Do you know that a day after I implemented this system I had a diamond ring from my husband of 19 years “out of the blue”, and a week later I had a very large sum of money deposited in my bank account that I had not foreseen? If you focus on the fact that there is more month left at the end of the money, then this is a sign you need this system. What is your relationship with money? Do you think of it as a necessary evil, or do you embrace it and welcome it? When you need to pay for something, do you look in your wallet and say “I’ve got no money”? even though your money is only an electronic transaction away? I want you to do a little exercise here – dig out your wallet or purse and really look at it. Is it shiny, neat and clean and of good quality, or is it dog-eared and worn around the edges, and is the closure made of Velcro®? What does your wallet or purse say about how you feel about your money? At this stage I suggest your intention is to have a friendly and welcoming relationship with money. If you think of your relationship with money is one of lack and feeling deprived, then switch that around now! Because you will always move towards what you focus on in life. This means that if you have a happy and inspired attitude towards money, it will be attracted to you, because money is nothing more than energy, and financial transactions are nothing more than an energy exchange. Your attitude forms part of your intention also, so if you are afraid of money – losing it, not being able to make enough, etc, then this will interfere with your intention and will only sabotage your efforts of implementing this system – do not skip this step! If you adopt an attitude of abundance with money, if it is taken away from you or if you lose it, then your attitude needs to be – No problem, money will keep flowing to me! Imagine a river of money flowing by, and place yourself on the bank with a big net – you get to choose the size of the net. If you do this, you will also find that these kind of unfortunate events that you previously feared do not happen since you are not focussing on those things. The action you need to take to see results with this system is for men to carry only cash around in a money clip, and ladies, spend as much money as you can afford on a beautiful purse, and carry only your id and those cards necessary – please no credit cards. Credit cards have a negative energy that does not create abundance. Make sure your money clip or purse is always cashed up, and pay for everything you possibly can in cash. This has the benefit of re-establishing your relationship with money and you get to handle it every day and see it every day. One of the reasons plans and goals fail is that we fail to take action – massive and immediate action. The power of now has magic in it. Because tomorrow never comes does it? If you are a great planner, that is fantastic, but you need to get those plans off the drawing board and into the world, and you need to do it now! I want you to go and find a gorgeous money clip or purse today and fill it with as much cash as you can – make it a sum that makes you slightly uncomfortable. You will notice over time that you become more comfortable and familiar with carrying this amount around. Make sure you notice the effects that roll in after you implement this system, because success breeds success and you will be sure to carry this system on with you for the rest of your life. Even a small success works on the same principles of the big successes, so if you can achieve small you certainly can achieve big! What have you noticed about your relationship with money – leave a comment as I’d love to hear from you!